As I write this article, and with every press of a keyboard, domestic football in Egypt is nearing the abyss. I do not aim to only entertain those reading, but I intend this as a lesson, a basic lesson to all football fans around the globe. As soon as you set foot on Road 90, you almost instantly recognise something different. Its width, the carefully painted lanes, the creamy asphalt. A few kilometres in and a blinding white light emerges from an electronic billboard placed on top of one of the area’s most famous malls, finding its way across the street before scattering in different directions at the mere sight of the galactic houses opposite the mall. It takes no brains whatsoever to figure out that there’s something different about Road 90. Unlike most parts of the city, traffic isn’t congested at 10pm on a Ramadan night and everything just seems eerily less chaotic than everywhere else. That’s because Road 90 serves as the central axis to a place located in south-eastern Cairo dubbed – rather aptly – New Cairo, one of the city’s most affluent neighbourhoods. Headquarters space to a myriad of banks, living space for ministers and businessmen alike, campus space for the country’s top two universities and some of the country’s top schools as well. 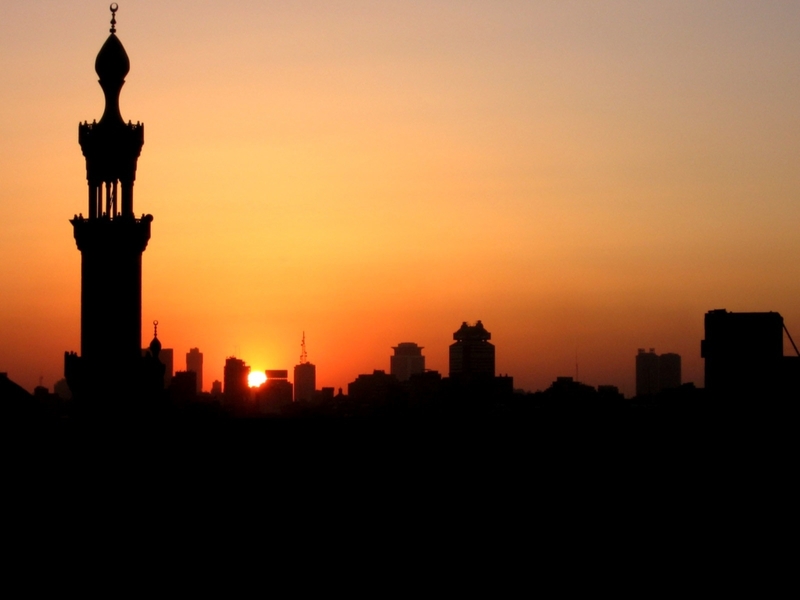 While it may not have the refined 19th-century architecture of places such as Maadi, Heliopolis and Zamalek, since its erection in the late 1990s, New Cairo has slowly turned into a go-to space for those belonging to the city’s premier economic classes. In a place where globalisation is evident on every street, in every alley, and – similar to all of Cairo’s affluent areas – in every household, a middle-aged Upper Egyptian by the name of ‘Mansour’ sits on a plastic chair on the ground floor of a house under construction watching clips of Egyptian football on the local sport station. Due to work commitments, Mansour happens to call the ground floor home for most of the day, where he catches up with the majority of the league games on a worn out TV screen fixed under a dim yellow light. What’s intriguing about the whole scenario itself isn’t simply a mere case of him finding a way to follow the league, but the fact that he’s one of the rare people nowadays who happens to find a genuine interest in following Egyptian football bar Al Ahly and Zamalek, and he does so whilst working on a construction site located in arguably Cairo’s most lavish corner. The tale of people gradually moving or at least aspiring to move to places like New Cairo in search of a better lifestyle is almost identical to what has happened to Egyptian football over the past years. 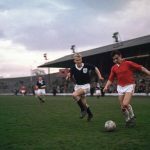 The introduction of subscription-based channels brought about a taste for the sumptuous world of European football, and the consumer – in our case the football fan – went from being a casual consumer of European football to a heavy consumer. As painful as it may be, the transition is in most part extremely understandable. After all, the competition isn’t as prestigious, fans haven’t been allowed regular access to the stands since 2012, and there are fan-less, state or corporate-owned sides infesting the competition, eradicating any passion left in the process. Back on the grimy ground floor, Mansour lights up a cigarette, rests his leg on the plastic chair right in front of him, before proceeding to turn down the volume coming from the depleted television screen. As soon as he’s asked about the domestic league, his eyes light up, finding solace in recalling what he calls “the golden times”. Times when teams represented people and not companies. “You see, things weren’t like this, they just won’t,” said Mansour whilst he fiddled with his moustache. “Back in the day, nearly every side represented someone. And by someone, I mean a fan, not an organisation.” He pauses for a moment, wipes off the sweat from his bald head with a napkin, before continuing his fulmination against what he calls “Egyptian football’s cancer”. Before I could come to explain in detail, his index finger pointed towards the ageing television screen, a sarcastic smirk appeared on his face, and a brief moment of silence ensued; a split second of sheer incongruity. The local sports channel – almost as if they were actively hearing Mansour’s words – were at that very moment showing highlights from a game between Entag El-Harby and Tala’a El Gaish, who happen to be two fan-less sides. The former, an almost regular Egyptian Premier League (EgyPL) side since 2009/10, are owned and governed by the Ministry of Military Production, while the latter, a mainstay in Egypt’s top flight since the 2004/05 season, are governed by the Ministry of Defence. Not only are both sides newly established outfits owned by the government, they’re both based in Cairo, which is already occupied by supporters of Cairo arch rivals Al Ahly and Zamalek, the two most successful clubs on the continent. As ridiculous as the whole affair may sound, Entag and El-Gaish are not alone. In fact, out of 18 EgyPL clubs in the 2016/17 season, only eight sides have a support base, while the rest simply don’t. But how did that change come about exactly? The sudden increase in ‘ghost teams’ could be attributed to the rise of Arab Contractors (Al Mokawoloon) in the early 1980s. The club – famous for producing Mohamed Salah and Mohamed Elneny among other talents – was established back in 1973, gaining promotion to the top flight at the end of the 1977/78 season. By the end of 1983, the Mountain Wolves became only the seventh side in history to win the Egyptian Premier League, and they’d grabbed two consecutive African Cup Winners’ Cups as well. A fan-less club owned by a company emerging from the ashes to briefly dominate Egyptian football alongside the continent’s behemoths seemed a bit absurd. But in reality, a lot of factors distinguished the club back then, including astute management, a privately-owned stadium, and the prowess of locally produced talents such as the late Nasser Mohamed Ali, Gamal Salem, Abouda Abdelkader and Ali Shehata, mixed with one-time African Player of the year Karim Abdul Razak and the iconic Joseph Antoine-Bell, arguably Africa’s greatest ever goalkeeper. Arab Contractors were, and still are, a clear example of rectitude. But with no clear restrictions in place to establish a football team, more and more new teams were being founded. If they weren’t government-owned, they were privately owned sides, but they had two things in common; first and foremost, a relatively exorbitant supply of cash and secondly, no potential to grow a fanbase. The second part of the equation stems from the fact that most of those teams were based in cities where historic clubs existed already. As you might’ve guessed, it didn’t take long for them to dispatch some of the lesser sides in the Egyptian football spectrum. By the mid-2000s, the change in the top-flight was done and dusted. Of course, part of why the ghost sides have remained in the top flight for so long is due to their supply of funds, but the other half of the issue lies in the way most of Egypt’s fan-owned clubs are governed. The club members elect the president and the board, who in turn run the club for the next four years before elections take place once again and so forth. Unlike the government and company-owned teams, who already have their own leadership and receive money from their respective owners be it tax money or money from operating revenues, the vast majority of fan-owned clubs have to rely on more orthodox ways of paying their debts such as merchandising, gate receipts or a sponsor-slash-rich president who adores the club to the point where they’ll spend tonnes of money without expecting any return. When you throw prehistoric infrastructure coupled with non-existent gate receipts since 2012 into the mix, everything regarding clubs with a fan base fading into oblivion seems cogent. It becomes even more cogent when you bear in mind that bar two or three stadiums, most of the grounds in the top flight are owned by the government, so teams have to pay to use them. 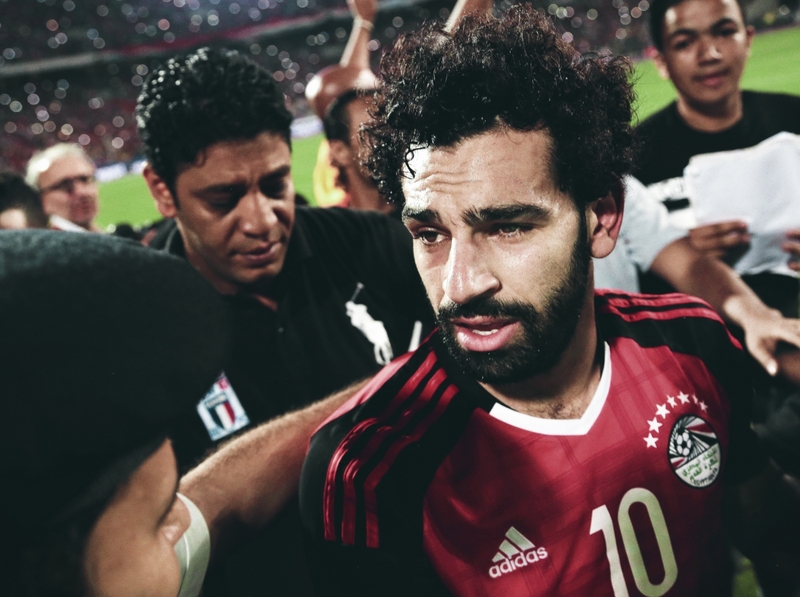 Only then did I come to realise – from a personal perspective at least – that domestic football in Egypt is heading for the abyss, without looking back. Mansour’s tone, while submitting to the abject reality that Ismaily could be headed for Division Two some time in the near future, was hideously melancholic; a lifelong Al Ahly fan – who was on the verge of being physically attacked by Ismaily fans at one point in his life – was not only worried about the future of the club, but he was legitimately disappointed at the state of affairs in Ismailia. Matters have reached a point where success without a company overseeing the club is almost unfathomable. Even the success of the league in general with the presence of ghost sides seems unfathomable too. The secret lies in two parts; firstly, shady business and secondly, constant resentment to change. A recurring theme amongst some of the company-owned clubs in the top flight is striving to do business in a very unconventional manner. Dakhleya, a club owned by the Ministry of Interior, solidify the aforementioned point and are arguably the prime microcosm of Egyptian football’s mishaps. At the end of every season, they sell a load of players to rival sides in the league, akin to a yard sale operated by an adolescent striving to buy a game console. In fact, since the end of the 2013/14 season, they’ve sold a staggering 11 players who have since gone on to play for a side in the top five. The same issue occurred with a club named Ittihad El-Shorta back in 2013/14 (another police-owned side). Shorta – who’d just finished a groundbreaking season where they were one game away from reaching the league playoffs – decided to let go of four key players to Zamalek. The blow proved to be too much, though, and they succumbed to relegation following the 2015/16 season. However, the question that always remains is: where does the money go? And why is it seldom used to rebuild the side? Are they in the league to compete or make profits off the football market? Even the sheer prospect that some of those sides receive public money due to being affiliated with the government, whilst sides with a fan base deal with meagre resources, is both dubious and unjust. First of all, they have fans to satisfy, and they don’t get remotely as many funds in aid. Such an issue was tackled by lawyer Amr Abdel-Hady in 2011, who filed a lawsuit – albeit an unsuccessful one – against people running government-owned clubs for spending tax money on football. The diabolical issue is that it isn’t just a case of receiving public money, or a certain ministry spending public money on more than one team rather. In some cases, things get blunter; in Egypt, military service is mandatory for roughly all males, but what’s alarming is some players spend that time at army-owned club Tala’a El-Gaish as a form of conscription. The clear-cut example would be Zamalek playmaker Ayman Hefny, who was forced to depart Misr El-Maqassa for El-Gaish back in January 2011 to complete his military service. This striking vignette of a footballer being forced to change sides in order to complete a mandatory service which has nothing to do with the sport is a quintessential example of destroying the definition of sport. It’s the antithesis of what sport actually stands for. The second part of the predicament lies in how such clubs resent change, which in turn proves to be detrimental to the clubs with an actual fan base, and to the league in general. The first example has to do with the league turning professional. Now, even though CAF have issued multitudinous warnings to the Egyptian FA in the past about how the league has to turn professional, the prospect of Al Ahly and Zamalek missing out on CAF competitions may be too much for African football’s governing body to take a legitimate action against Egyptian teams. However, a professional league is probably the only hope for fan-oriented sides in the Orwellian world of Egyptian football. 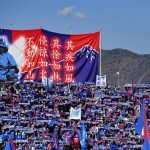 First of all, the pro league opens the door for private investment in traditional clubs – and it could be argued that clubs with a rich fan base will attract more investment due to the potential to initiate all sorts of fan-related activities even without the presence of fans in the stands. Further to this, a pro league structure restricts the number of government-owned sides by making sure that every institution has a maximum of one team eligible to play in the top flight, and one team only. 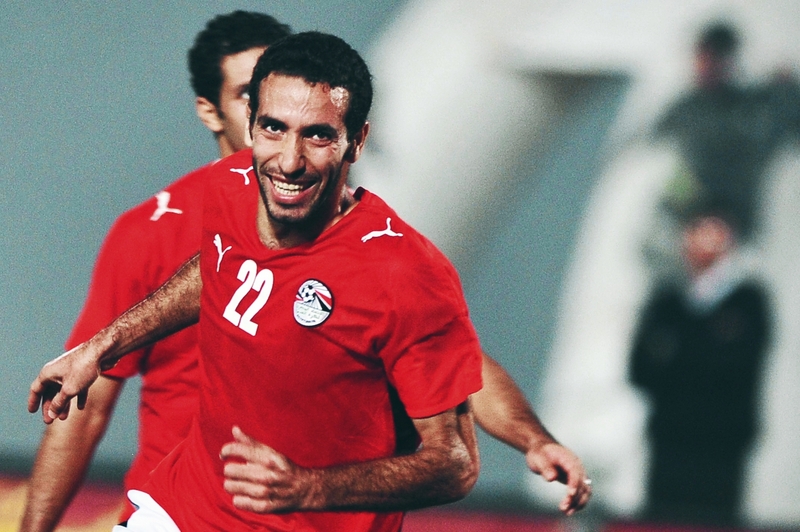 This becomes an instant coup de grace to some sides in the EgyPL. For example, the Ministry of Petroleum have two sides in the top flight — the nature of the pro league will only allow one of them to participate, whilst the other would probably cease to exist. This issue was highlighted by Egyptian FA board member Mahmoud El-Shamy back in early 2016, when he made it clear that it would be impossible for company and government-owned sides to obtain a license under pro league regulation, which is why – as always – talks of a professional league stall almost immediately after being brought up. But it isn’t the only thing that stalls immediately after being brought up. Talks about the return of fans – as ludicrous as it might sound – are constantly being delayed. Ask any football fan about the importance of active support – in any corner of the globe – and their answers will vary between very minimal thresholds. But in Egypt, however, matters change. 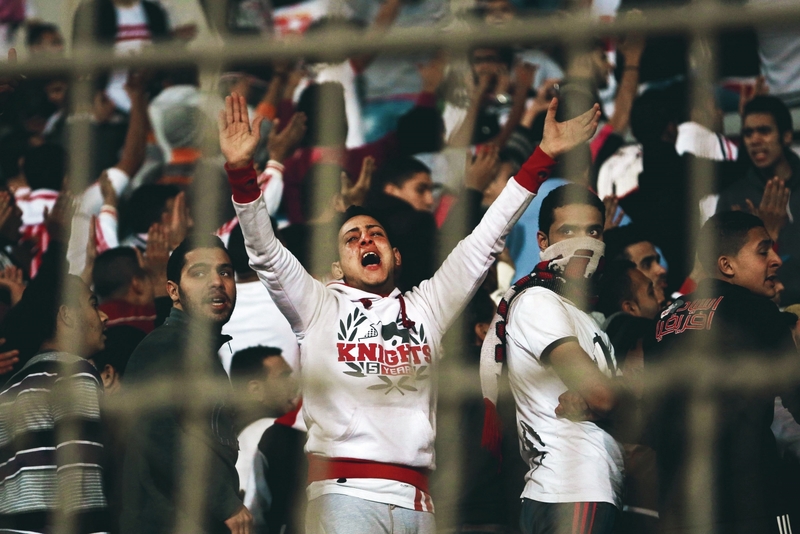 Fans of Al Ahly and Zamalek are consistently facing prejudice from police authorities, ultras groups have been deemed unwelcome by both sets of board directors, and talks of a return to the stands are consistently being suspended by state-owned clubs in particular. Highlighting that the absence of state-owned clubs would’ve brought back fans to the stands by the now may be a bit impractical due to the fallacious, abhorrent system in place, but one imagines that we’d be in a much better place. For example, back in December 2015, 10 clubs – all company-owned – refused to even discuss the return of fans to the stands. That’s 10 out of 18 clubs declining the return of fans to games, creating an unassailable schism, and when you throw that in with the status quo, you get stagnation. And that’s exactly what’s going on at the moment. Here’s the question I always pose: who do those players play for if fans are absent? Yes, we all know they want to play for themselves, but the people who care about the team are non-existent. If Samuel Beckett wrote Waiting for Godot knowing that few people will read the play, would he have dedicated so much time and effort to write it? Would the actors performing the play put as much effort knowing that few people will truly care about their efforts? Hypothetically speaking, would Vladimir and Estragon exert the same amount of effort in staying sane and alert while they wait for Godot, knowing that he’ll never turn up? The answer is no. I wouldn’t have put as much effort in this article if I knew beforehand that few people will read it. Even with the absence of fans, the sheer thought that there are thousands, if not millions, of people watching the game and cheering you on is enough to make a player give everything they have. 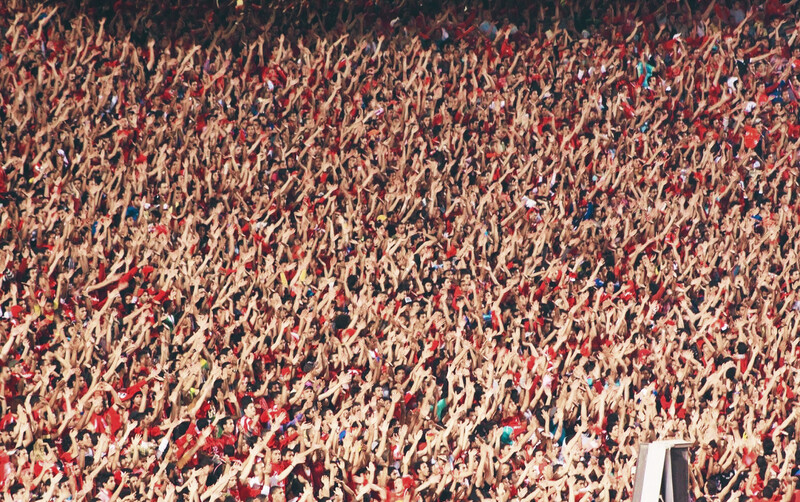 The marginalisation of fan-based clubs in Egyptian football goes against everything football was created for. As the world of modern football inexorably imposes itself on each and every one of us, it’s imperative to realise who made football what it is. Good management and good business is a must to elevate the club’s position in order to satisfy supporters, but without their presence – just like the clubs I described in the article – then everything else becomes null.